If you are looking for a reliable, customer focused company to undertake and complete your project Spring Building Solution Ltd has over 10 years’ experience in the construction industry and will provide you with the solutions. Spring has undertaken a number of projects varying in size/budget with the knowledge and expertise second to none within the industry. From initial tender stage of a no obligation quote we will ensure projects undertaken are completed within timescale and on budget giving the client an experience of the very highest standards. 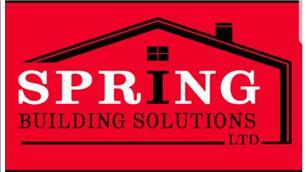 Please don’t hesitate to contact us today for your free no obligation quote and begin your unique experience on a Spring Building Solution Ltd construction.